This year was all about knocking books off my ever-growing TBR pile. At least, in theory. It does, however, seem that I have yet to master that oh so simple task as I keep acquiring more books and reading shiny new ones. I don’t know if anyone else is asking “Where did the year go?”, but it’s really over in another. . . When you break it down like that it sounds like you’ve got all the time in the world, right? WRONG! It’s never enough time. But let’s hope we can pull off those last few goals before 2019 greets us. So, let’s get on with the wrap up. This month I went a little overboard, but I’m really happy with my purchases. I bought 1 book during employee appreciation and 6 books at my two favorite used book shops. 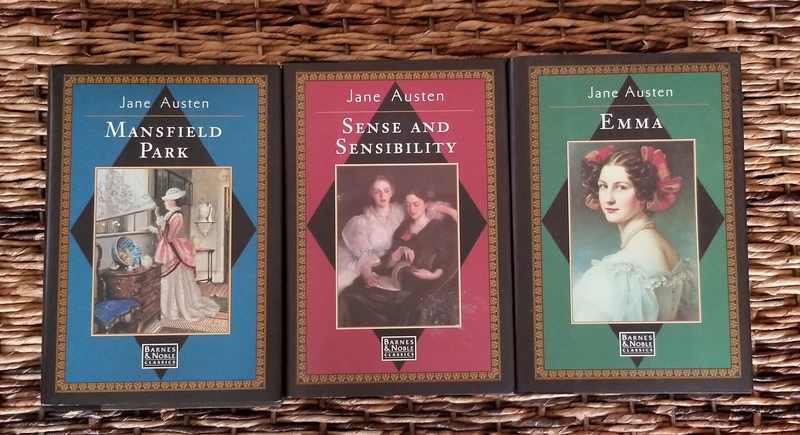 And spent a total of $33 (rounded up) on 7 books. So what did I get! 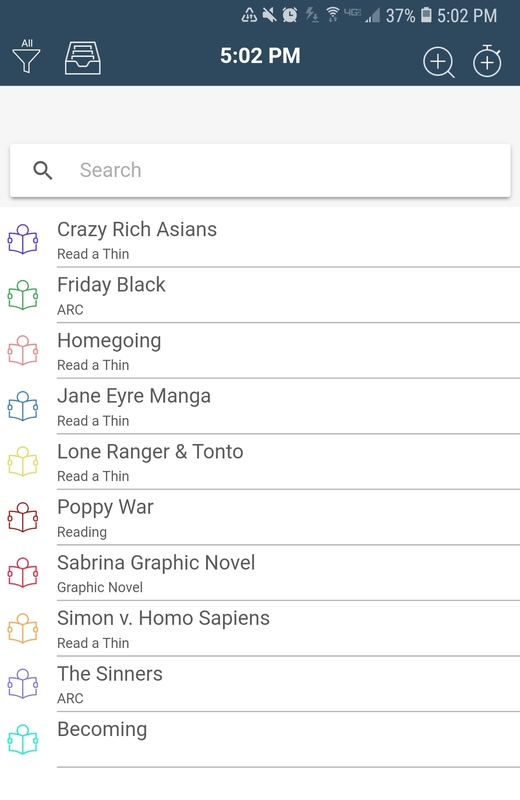 November was about the Read-a-Thin Challenge. 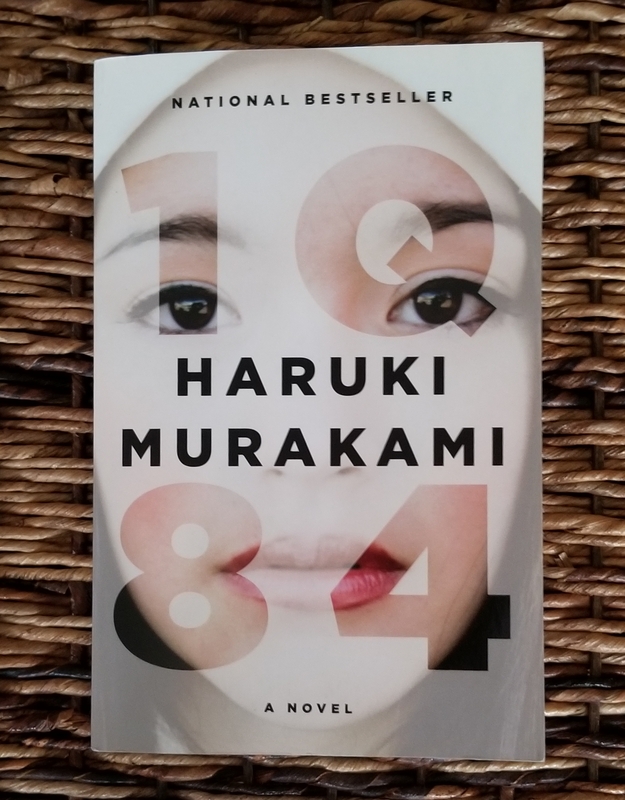 It’s a Goodreads group that focuses on reading books from your ever-growing TBR pile. I feel like this month wasn’t as good as last month. 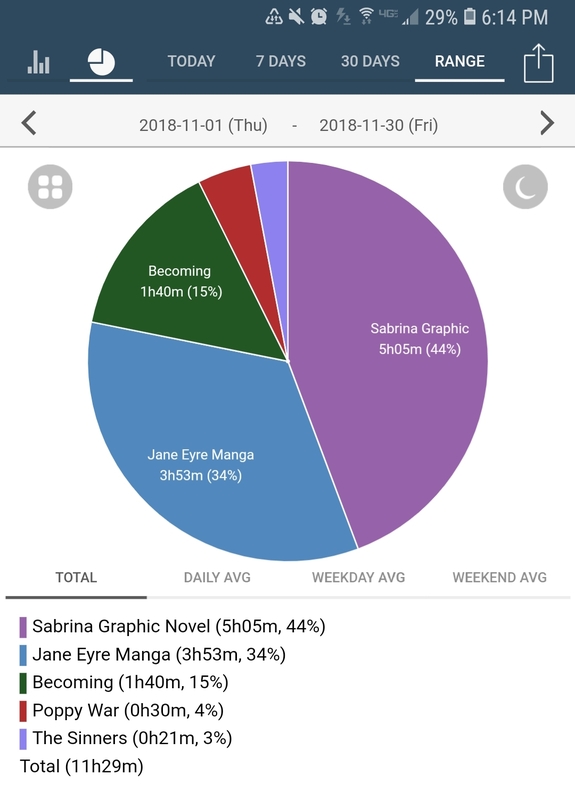 I haven’t had a lot of time to read because of my work schedule. I’ve picked up extra shifts and worked A LOT of overnights. 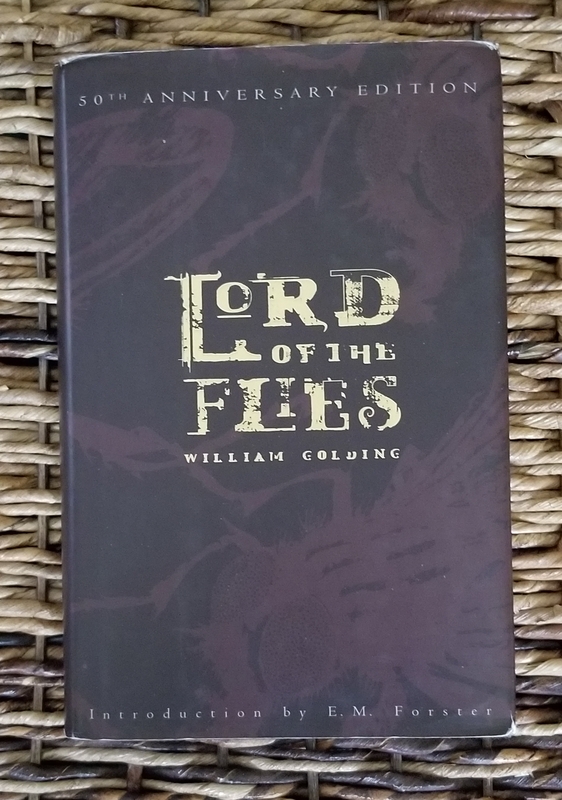 Now, having said that how much did I read? 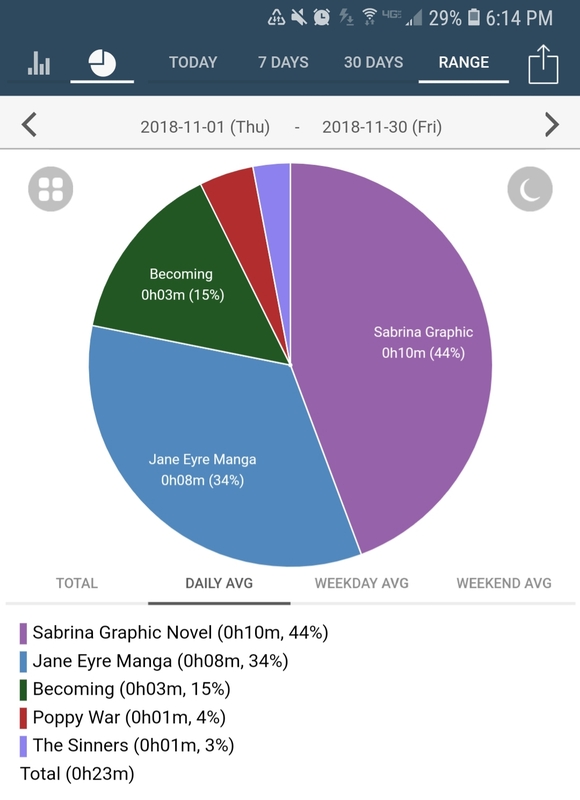 For the month of November, I read a total of 11h29m and 23m for a daily average. About 7 hours less than last month. Not too shabby considering my wonky work schedule. **NOTE:** If you’re curious about the charts, I downloaded an app called ATracker. The only challenge I did was Read-a-Thin. I liked the prompts and I’m a little sad I didn’t really have a chance to complete them. Read a book entirely in a cozy spot – My bed. I always read in bed. It’s the coziest spot around. 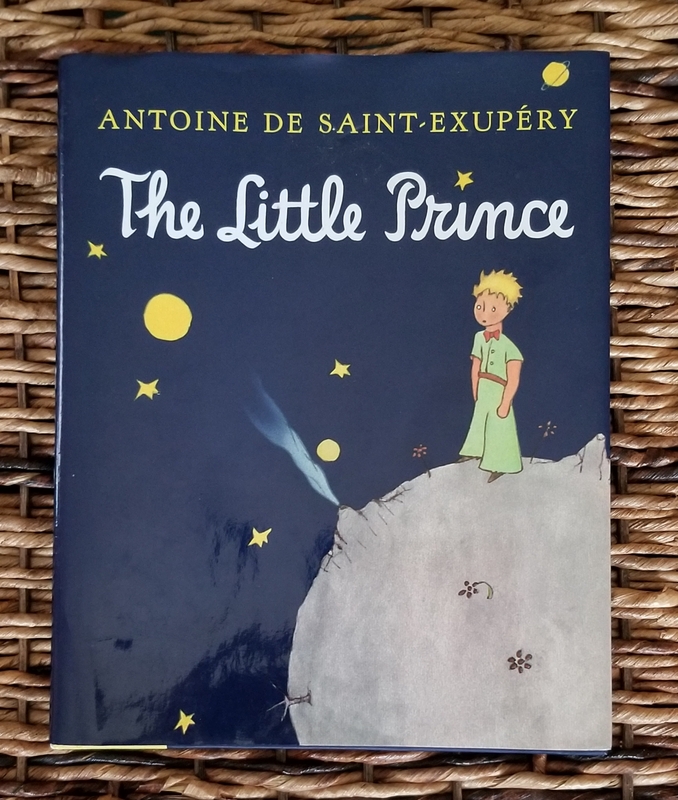 The Little Prince is such a gem! 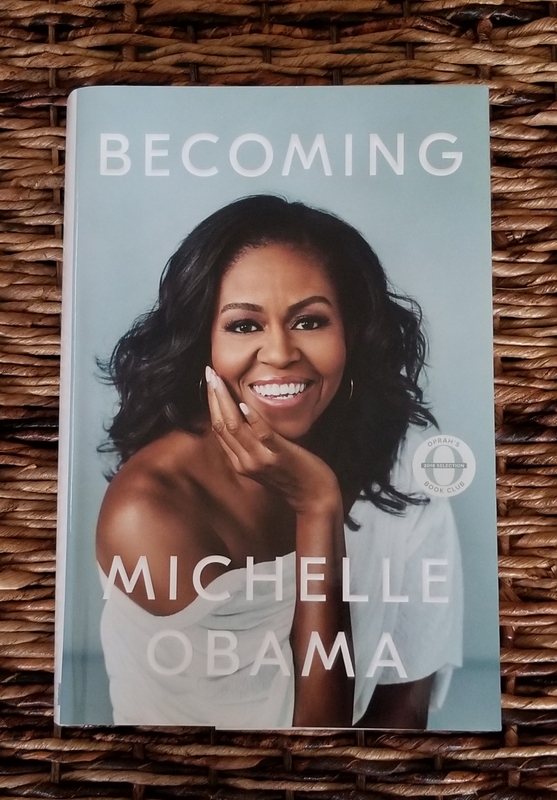 I can’t wait to read Becoming. Becoming is so good! I hope you enjoy it. She’s so thoughtful, and I loved the inside look at her marriage and life in the White House. Well composed post! I love all the stats! You did great!! Happy December!